This service is guaranteed to get unlimited traffice to your blog or websites.My service is manually done and therefore, I do not make use of auto approved software or tools. There are no spammed comments with this service. If you need Niche Relevant Blog Comments then we are to provide you. My Work has No Spam. I will Submit High Quality Backlinks via Blog Comment On Your Niche. I am sure that you like my work with Pleasure. 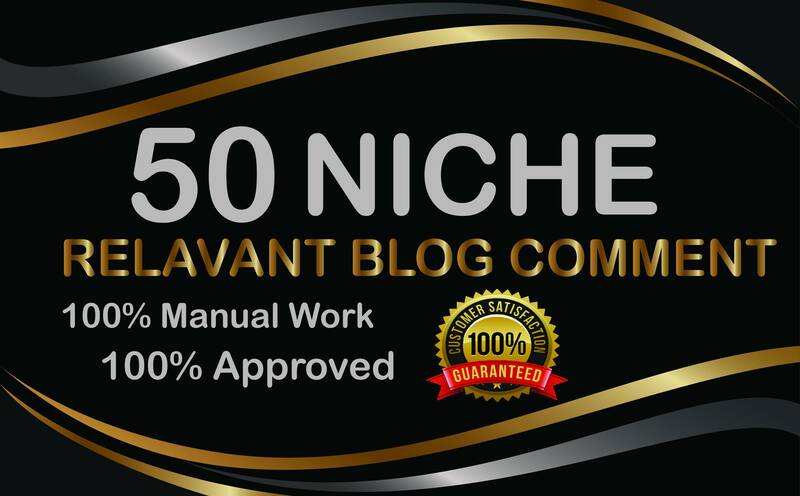 50 Manual Niche Relevant Blog Comments SEO Backlinks is ranked 5 out of 5. Based on 1 user reviews.